Our Skin care Products are Dermatologist formulated with the finest state-of-the-art ingredients to truly improve the appearance of your skin. The product line is designed to match our client’s needs and to complement all the skin treatments and anti-aging management protocols. Products leave your skin feeling balanced and revitalized with a youthful glow. Dramatically visible improvements from therapeutic regimens with lasting results MeAn Skin Pharmaceuticals has provided physicians with clinically proven, high-performing skincare products. 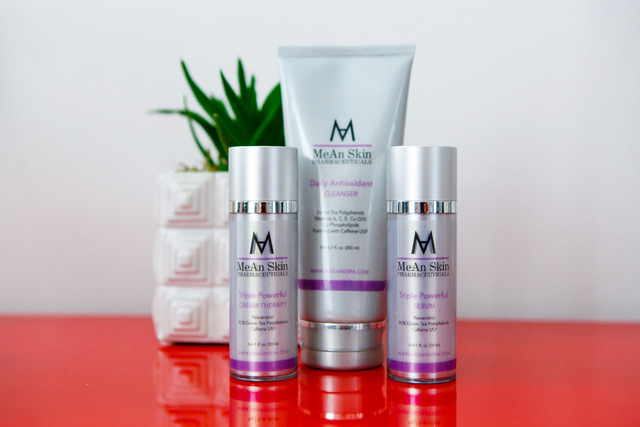 Using only the purest, most efficacious ingredients, our skin care collection was formulated to provide targeted solutions for enhancing skin’s appearance and reducing signs of aging.